Life has been hectic! Lots of guests, the first term bulletins were due at school, appointments, and traveling. On Monday I went to London for 2 nights to show Ryan's Aunts my favorite city. Yes, I have decided - London is #1. This week marked my seventh time to the city and it never ceases to amaze me. 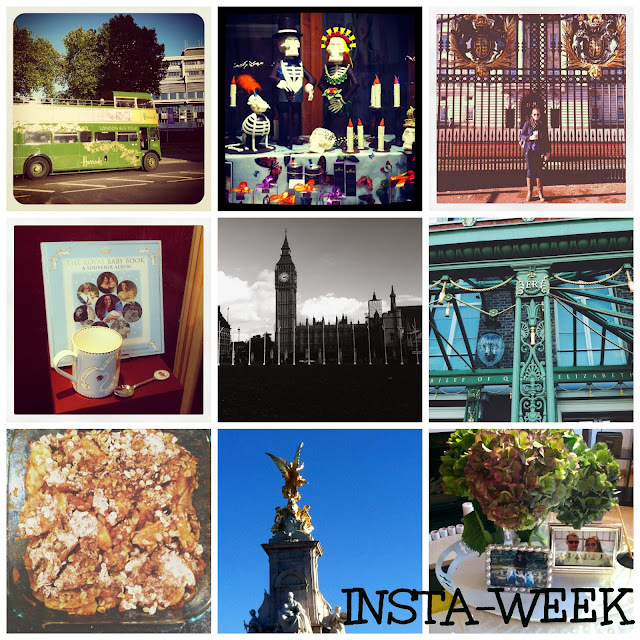 I love everything about it, the sights, people, fashion, pubs, neighborhoods, the tube, shopping, I could go on and on! Did I mention that we saw the Queen? Yes, the Queen of England! While we were waiting for the changing of the guard she drove up to Buckingham Palace with a few police escorts and the crowd went wild. Unfortunately, I didn't get a photo but she looked as elegant as ever.